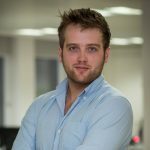 Following on from yesterday’s chart on the potential for SVOD sports broadcasting, today’s chart looks at why sports broadcasters need to adapt their platforms for multi-device engagement to keep pace with consumer expectations. The average internet user now owns more than three devices, and this is clearly impacting their media consumption habits. TV remains the go-to destination for keeping up with sports entertainment, but the majority (60%) of this group are also watching online. Of the 39% now consuming sports online, nearly all watch sports on their TV sets too. Improvements in connectivity and device hardware are having a major impact here, making it easier for consumers to enjoy uninterrupted sports entertainment throughout the day, depending on where they are. 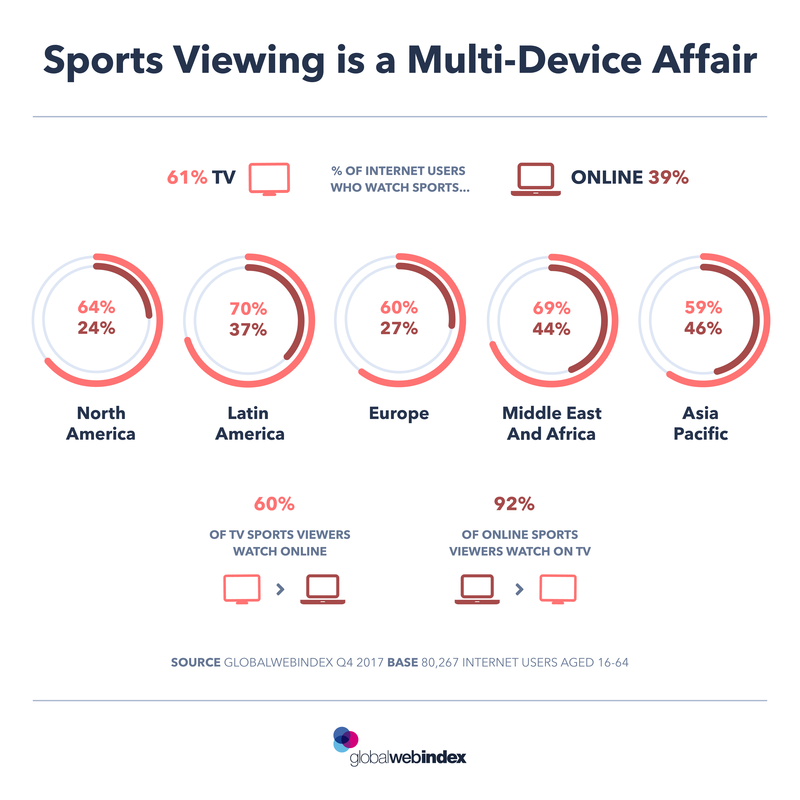 This explains why mobiles are now the top device for watching sports online globally, and by some distance in APAC and most notably, North America. Online sports offerings have been a key growth area for both leagues and sports broadcasters across many major sports like soccer and basketball, especially in those markets where connectivity and mobile hardware improvements are making the most impact. That could be why we see that APAC, LatAm and the Middle East and Africa outscore Europe and North America for online sports consumption by some degree. Tailoring the user experience for multiple screens is now a must for sports broadcasters to keep pace with consumer demand for global sports entertainment in these fast-growth markets. One of the most exciting new avenues for these consumers to catch up with their favorite sports is through social media, something we explore further in tomorrow’s addition to this week’s series. Sports Viewers are defined as internet users who watch any of our 22 tracked sports online or on TV.